You will want to be realistic about how many hours a day you can handle and how much time between each lesson you’ll need for bathroom breaks, making emergency photocopies, or just clearing your head. I spent a year teaching from 7:30 in the morning to 9:00 at night with several one-hour breaks throughout the day, and it was tough. Four-hour blocks at consistent times each day worked better for me because then I had mornings off. Ten lessons back to back twice a week were the best for me because then I had five days off, but it was difficult to schedule people where I wanted them. Experiment a bit, but remember that if a student signs a contract for a year, you’re stuck with that schedule. One-on-one students who started their lessons years and years ago paid less than 20 Euros per hour, and I never raised the price on them. Loyal students are worth it, and 15 bucks way back in 2002 was a great price for a teacher who was still planning her life. However, inflation is a reality, so start out on the high side. A language school will pay you anywhere between 9 and 22 Euros for 45 minutes, while charging the student 35 Euros and up for that same lesson. There’s nothing wrong with that: it’s basic commerce, and they have overhead costs to take care of. Your boss will laugh at you for being angry about it, so you should take this advice, use these resources, and become self-employed. Schools pay too little because they can. Only you can change your wage. You don’t have to charge these prices; I’ve only provided this list to give you an idea of what people were paying me. If you can afford to give cheaper lessons, feel free. If your lessons cost more, that’s okay too. Ultimately the students will decide if you give quality lessons, and if they can afford you. Keep in mind that mandatory health insurance in Germany for a self-employed English teacher will be around 300 Euros per month. You might also be required to have several other kinds of insurance. I paid about 500 Euros per month just for the minimum health, retirement, liability, disability, unemployment, and legal protection insurance. I rented an office and worked with children, both of which required extra insurance. As an unmarried foreigner, I was never eligible for participation in the social system and perks that Germans or EU citizens enjoy, so ask other foreigners for advice on this subject. Germans will not understand your costs. a chance to develop a curriculum and set goals within a fixed time frame. students can’t just disappear in the middle of the course, suddenly leaving you without an income. If they drop out, they forfeit the course fee. if a student or group is proving to be unpleasant, you can gracefully decline to schedule the next course. in Kindergartens, some kids go on to elementary school and other kids want to join in the middle, but it’s easier to start from scratch with a completely new group than it is to bring newbies into a more advanced group. Ask yourself how many students you can successfully teach in one lesson and don’t overload your classes out of greed or obligation. Draw up a contract or a list of General Terms and Conditions that your students or their parents should sign before participating in the course. It’s important to write everything in the country’s language, so you might want to hire a lawyer to do this if you’re unsure of the law or legalese. This is well worth the money as you’ll be using it for each student, and it will protect you from headaches later. The one I’ve provided is sufficient for single lessons or little groups. If you’re signing up a big company for many courses or giving lessons worth tens of thousands of Euros, consult a lawyer to help you. Don’t use my little freelancer contract if you’ve got huge clients. On a different note, the contract isn’t meant to establish the curriculum or outline the language goals. Each student or group is different, thereby requiring a personalized course to be created after the initial interview or first lesson. The contract is for clarifying logistics and solidifying payment obligations. In future articles, I’ll take you through the process of assessing a student’s level, tailoring a course to fit, and I’ll provide links to resources. im Folgenden als „Teilnehmer“ bezeichnet, wird ein Vertrag über die Erteilung von Englischunterricht geschlossen. hereby referred to as the “participant”, establishing the terms and conditions of English lessons. (1) Die Lehrkraft ist verpflichtet, die Dienstleistung selbst zu erbringen. The trainer is obligated to carry out the lessons himself or herself. (2) Der Teilnehmer muss die Unterrichtseinheiten selbst erhalten und kann diese nicht an einen anderen Teilnehmer übertragen. The participant must complete the lessons himself or herself and cannot transfer the course to another participant. (3) Wenn sich der Teilnehmer entschließt, die Unterrichtsstunden bzw. den Kurs nicht bis zum Ende zu absolvieren, können bereits gezahlte Beträge nicht erstattet werden. If the participant decides not to complete the lessons or does not attend the full course, no part of the previously paid course fee can be reimbursed. (1) Sofern die Lehrkraft für den Kurs oder die Unterrichtsstunde anreisen muss, ist hierfür ein Ort zu wählen, der vom jeweiligen Hauptbahnhof aus in nicht mehr als 20 Minuten mit öffentlichen Verkehrsmitteln oder zu Fuß erreicht werden kann. If the trainer must travel to the lessons or course, the chosen location can be no further than 20 minutes from the nearest main train station by foot or public transportation. (2) Der Unterrichtsort muss über eine sanitäre Einrichtung verfügen. Insbesondere kann der Kurs oder die Unterrichtsstunde nicht im Freien oder in einem Fahrzeug abgehalten werden. Büros, Cafés, Bibliotheken, private Wohnbereiche sowie Schulen sind hingegen gut geeignet. The lesson’s location must have access to restroom facilities. The lessons cannot take place outdoors or in a vehicle, for example. Offices, Cafés, Libraries, private homes, and schools are acceptable locations. (3) Sofern der Unterricht über Skype oder ein vergleichbares Video-Chat-Programm abgehalten wird, ist jede Partei für die Funktion ihrer eigenen Internet verbindung sowie ihres eigenen Computers selbst verantwortlich. For lessons over Skype or similar video chat programs, each party is responsible for providing their own functioning computer equipment and internet connection. (4) Beide Parteien verpflichten sich, die im Skype-Account einsehbaren Verbindungsdauern der Unterrichtsstunden zu speichern. Both parties must keep a record in their Skype account of each lesson’s date, time, and duration. (5) Falls eine Unterrichtsstunde durch ein technisches Problem unterbrochen wird, wird diese zu einem späteren Zeitpunkt fortgesetzt. Eine entsprechende Terminbestätigung erfolgt per E-Mail. Unterrichtsstunden per Skype können nicht kürzer als 45 Minuten sein. Nachzuholende Unterrichtszeit, die diese Dauer unterschreitet, wird der nächsten Unterrichtsstunde angehängt und kann nicht in einem separaten termin aufgeholt werden. Der Preis der nächsten regulären Stunde bleibt hierbei unverändert. Falls eine Unterrichtsstunde aus einem anderen als technischen Grund vorzeitig beendet wird, verfällt die verbleibende Unterrichtszeit. Should a lesson be interrupted due to a technical problem, the remaining minutes will be made up at a later time. The appointment will be agreed upon via e-mail. Lessons via Skype shall not be shorter than 45 minutes. Unfinished lessons with fewer than 45 minutes remaining will be added to the next whole lesson and cannot be made up in their own appointment. The price of the next regular lesson will remain unchanged. Lessons which are interrupted for reasons other than technical difficulties will not be made up. Die Dauer des Unterrichts beträgt ________ Minuten und findet um ________ Uhr statt. The duration of the lesson is ________ minutes and takes place at ________ (time). Insgesamt finden also ________ Unterrichtsstunden statt. The course contains a total of ________ lessons. (2) Alle Stunden eines Kurses müssen innerhalb von _______ Monaten nach der Probestunde abgehalten werden. All lessons in a course must be completed within _______ months of the interview lesson. (1) Ein Unterrichtsausfall muss bis spätestens 17:00 Uhr am Vortag der vereinbarten Unterrichtsstunde angemeldet werden. Andernfalls wird weder eine Kostenrückerstattung gewährt noch der Unterricht nachgeholt. Die Absage kann per SMS, E-Mail oder telefonisch erfolgen und wird per E-Mail bestätigt. Notification of a cancelled lesson must be received by 17:00 on the previous day at the latest. Otherwise the lesson will not be rescheduled. No money will be returned. Notification can be via text message, e-mail, or telephone and must be confirmed via e-mail. (2) Sollte die Lehrkraft einen geplanten Termin absagen müssen, wird der Unterricht nach Rücksprache zu einem anderen Zeitpunkt stattfinden. Should the trainer cancel the lesson, a new appointment will be set for a later date. (3) Sollte die Lehrkraft einen geplanten Termin später als um 17:00 Uhr des Vortags absagen, so wird dieser Termin kostenlos nachgeholt. Should the trainer cancel after 17:00 on the previous day, the lesson will be rescheduled and a bonus lesson will be added to the course. Verbal agreements which deviate from this contract will not be honored. (2) Änderungen und Ergänzungen der in diesem Vertrag getroffenen Vereinbarungen bedürfen zu ihrer Wirksamkeit der Schriftform. Amendments and additions to this contract must be made in writing. (1) Sind einzelne Bestimmungen dieses Vertrages unwirksam, so berührt dies nicht die Wirksamkeit der übrigen Regelungen des Vertrags. Should any terms of this agreement become invalid, the validity of the other provisions shall remain unaffected. You’ll want to click on these links for the PDF, Pages, Word, or Text only. If you copy and paste what you just read, you’ll have to delete the English translation in italics. Remember that the linked contract is a template, and you have to enter your own data in the spaces where I’ve put sample information. An attendance sheet for individuals can be found here, or here for groups, and it’s vital to have your student sign or initial it to prove that the lesson took place. It’s your way of clocking in to work. Without a signature next to a date, you’ve got no power to defend yourself if a student claims that they didn’t get their lesson. Also, if you claim a train ticket on your tax declaration, you’d better have documentation that a lesson was scheduled that day. wird ein Vertrag über die Erteilung von Englischunterricht geschlossen. establishes a contract for the participation in English lessons. Hiermit melden wir, die Erziehungsberechtigten, unser Kind verbindlich zum Englischunterricht an und schließen folgenden Ausbildungsvertrag ab. We, the parents or guardians, hereby enroll our child in English lessons and complete the binding contract. (1) Die Lehrkraft (Lena Lehrering) wird Englischunterricht an einer Gruppe von Kindern im Alter von ___4____ bis ___6____ Jahren erteilen. Der Unterricht wird als Gruppenunterricht erteilt, wobei die Gruppenstärke bei ____8___ Kindern liegt. 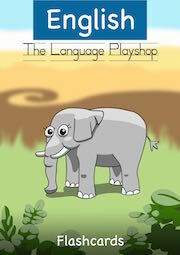 The trainer (Lena Lehrering) is to lead English lessons in a group of children aged ___4_____ to ___6_____ years old. The lessons are for a group not exceeding ____8____ children. (2) Der Unterricht findet wöchentlich statt. The lessons take place weekly. (3) Die Dauer des wöchentlich Unterrichts beträgt 60 Minuten und findet Donnerstags um 14:00 Uhr im Kita Kinderwelt, Klein-Dorf-Strasse 10, 00000 Dorferstedt statt. The weekly lessons are ________ minutes long and start at ________ on ________ at _____________________________. Insgesamt finden also 20 Unterricht statt. A total of 20 lessons will take place. (2) Für jede geleistete volle Stunde (60 Min. ), erhält Lena Lehrering ein Honorar in Höhe von 64,00 Euro (8,00 Euro pro Teilnehmer). For each full lesson (60 minutes), Lena Lehrering receives a fee of 64 Euros (8 Euros per participant). einer Einmalzahlung der 160,00 Euro, diese sind dann am 00.00.0000 fällig. einer Zahlung der 160,00 Euro in zwei Raten, jeweils 80,00 Euro sind dann am 00.00.0000 und am 00.00.0000 fällig. 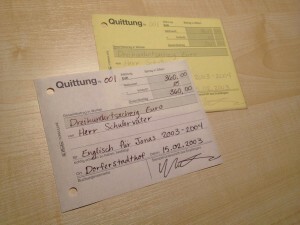 a payment of 160 Euros in two installments of 80 Euros each, due on 00.00.0000 and 00.00.0000. Bei einem verspäteten Eingang der Zahlung auf das o.g. Konto erlaube ich mir eine Bearbeitungsgebühr von 2,50 Euro zu erheben. Sollte die Zahlung nicht innerhalb einer Frist von Zwei Wochen nach Fälligkeitsdatum nachgeholt und auf dem Zahlungskonto eingegangen sein, wird eine zusätzliche Mahngebühr von 5,00 Euro pro vergangener Woche fällig. In case of a late payment to the above account, an administration fee of 2.50 Euros will be added. Should a payment not appear in the account within two weeks after the due date, an additional penalty of 5 Euros per week will be added. Sollte die Lehrkraft einen geplanten Termin absagen müssen, wird der Unterricht nach Rücksprache zu einem anderen Zeitpunkt stattfinden. If the trainer has to cancel one lesson, a new appointment will be arranged and will take place at a later date. Sollte der Schüler, unabhängig der Gründe, eine oder mehrere Unterrichtsstunden versäumen, erfolgt keine Rückerstattung des Lehrgeldes. If the participant misses one or more lessons, regardless of the reason, no money can be returned. An attendance sheet can be found here, and it’s wise to get a signature from at least one adult on the premises to confirm that the lesson took place that day. Don’t use the attendance sheet to keep track of detailed descriptions of the lessons; just write the topic or the worksheet given. Also, don’t write any payment info on the sheet. Parents might see that Mrs. Disorganized hasn’t paid yet, or that Mr. Poordad is on the installment plan, which is nobody’s business. 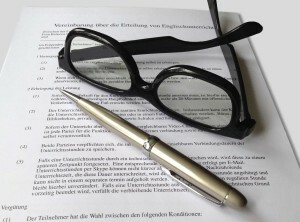 This contract is only a basic document to help you with your first courses. You may find that you need another page or three to appease Mrs. Technically and her endless “what-if” questions. You may have to tailor your contract to fit the circumstances of your group, but if you run into people who are constantly trying to find a loophole or avoid paying, gently nudge them out of your schedule. Dieser Umsatz ist steuerfrei gemäß § 19 UStG. This revenue is tax-free in accordance with § 19 of the tax law. hiermit stelle ich Ihnen für die Sprachlich-kulturelle Vorbereitung 450,- Euro in Rechnung. Die Anwesenheitsliste der Schüler lege ich bei. The bill for the Cultural and Linguistic Prep Course comes to 450 Euros. The attendance sheet is enclosed. Ich bitte Sie, den Betrag von 450,00 Euro innerhalb von 14 Tagen auf mein Konto zu überweisen. Please transfer the amount of 450 Euros to my account within 14 days. Diese Rechnung ist auch ohne Unterschrift gültig. This invoice is also valid without a signature. This link will show you another bill. Die Anwesenheitsliste lege ich bei. The attendance sheet is enclosed. This link shows you another example. nach Durchsicht meiner Kontoauszüge musste ich leider feststellen, dass die Zahlung der Rechnungsnummer 02033011 schon seit April 2002 überfällig ist. Es könnte sein, dass Sie die Rechnung nicht erhalten haben, deshalb schicke ich diese nun noch einmal. After reviewing my bank statements, I have found that bill number 02033011 has been overdue since April 2002. It could be that you haven’t received the bill, so I’m sending it again in this letter. Ich bitte Sie daher den Betrag von 40,00 Euro schnellstmöglich auf mein Konto zu überweisen. Please transfer the amount of 40 Euros to my account as quickly as possible. Sollten Sie noch Rückfragen haben, stehe ich Ihnen gerne zur Verfügung. der Kurs, den Ihr Sohn besucht hat, begann im März 2001, beinhaltete 45 Unterrichtsstunden und endete im Mai 2002. Die Gesamtkosten belaufen sich daher auf 450,00 Euro. Abzüglich der schon geleisteten 410,00 Euro, bleibt ein Betrag von 40,00 Euro zu zahlen. The course that your son has attended began in March 2001, included 45 lesson hours, and ended in May 2002. The total fee is 450 Euros. Since 410 Euros has already been paid, 40 Euros is still due. Ich bitte Sie daher, den ausstehenden Betrag von 40,00 Euro bis zum 01.08.2002 auf mein Konto zu überweisen. Sollte die Zahlung nicht innerhalb einer Frist von zwei Wochen nach Fälligkeitsdatum nachgeholt und auf dem Zahlungskonto eingegangen sein, wird eine zusätzliche Mahngebühr von 5,00 Euro pro vergangener Woche fällig. Please transfer 40 Euros to my account by 01 August 2002. Should the payment not be received within two weeks after the due date, a reminder fee of 5 Euros will be added per week. Ich bedanke mich für Ihre Teilnahme am Kurs und wünsche Ihnen weiterhin alles Gute. Thank you for your participation in the course and I wish you all the best. As you can see, it’s a lot of work to bill students monthly, which is why I require a pre-pay situation when it comes to courses. If you bill after the fact, it can take months to get someone to transfer the money. It’s common to give someone two weeks to pay a bill, then two weeks after the reminder. I’ve never had to charge anyone the 5 Euro reminder fee, but I’ve still had plenty of delayed payments and I’ve had to bump students off my calendar for being chronically late with payments. I can understand the confusion in the case above because the invoice numbers were almost the same and the payments were about a month apart. It’s easy for a frazzled parent to sincerely believe that they are up to date on the tutoring fees, and the best way to clear things up is to send a complete overview of their bills and payments. Still, it’s 30 minutes of your day spent on accounting. Speaking of overviews, I always send out a letter to my students at the end of the year for their tax preparations. 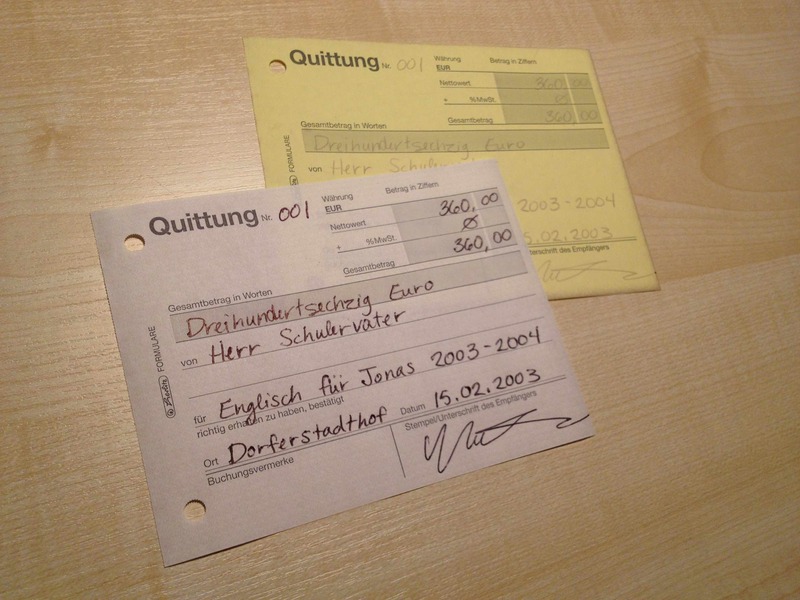 Germans can write off educational expenses in most cases, and since I’m doing my taxes too, it’s really no extra work to tally up their payments and print it out for them. Alle Außenstände sind bereits beglichen. Es sind keine weiteren Zahlungen notwendig. All invoices have been paid, no further payment is required. Remember that the first word in the sentence after “Dear Mr. Client,” is not capitalized in German correspondence. It’s not actually the beginning of a new sentence because it’s just a continuation of the greeting, which they consider to be the real beginning. The Germans think of it this way: “Dear Susie, you’re such a good friend.” In English it would be “Dear Susie, You’re such a good friend.” We capitalize the first letter in the sentence after the opening, and it’s often indented with a full tab or 5 spaces. The German indentation is only one space. Cash is always the best form of payment, and you should have your receipt book with you at all times. People might want to order extra lessons at the end of a course or enroll their child in another group, and they’ll often pay right away to solidify their place in your calendar. The last thing you want to do is discourage someone from paying you. If you’ve ever used a checkbook, you’ll know to protect the lower sheets from the pressure of your pen by folding the extra back cover just under the top sheets before you start writing. Fill in the spaces in German, sign it, maybe stamp it, and give the client the top while keeping the yellow or pink one for your records. Your signature will be enough in most cases, but some people want you to take out a rubber stamp and apply your logo, name, address, and phone number to make it feel more official. Most people are happy with a signature. Again, keep the duplicate for your records! You have an excellent memory, sure, but basic organization and accounting skills are vital, and the tax authorities will demand to see every scrap of paper if it’s ever your turn to be audited. If you then deposit the cash into your bank account, remember to add a memo in the space for “Verwendungszweck” with the name of the student and the receipt number. This will help to avoid confusion later, and again, it’s basic bookkeeping. A good way to generate a receipt number without keeping a list or a stack of duplicates with you is to use the date and the number of people who are paying you that day. For example, if it’s 21 September 2006, and it’s the third receipt you’ve written that day, the receipt number would be 06092103. That’s the year, month, day, and person number three. You could also just leave the most recent duplicates in the receipt book and generate the next number from the last one. However, you’ll be broadcasting your income (and other students’ payments) to everyone who sees you leafing through previous receipts, and you might not be comfortable with that. Keep your train ticket. Keep all documentation of your expenses that are accrued for your job, and be honest about what you need to buy for your students. You might have to be the annoying person in line who has two transactions at the check-out, but keep your personal purchases on separate receipts. The tax authorities don’t want to see your bananas on the same receipt as your staples and envelopes. I keep small boxes to sort my train tickets, office supply receipts, lunch receipts, and anything else I legitimately need for work. Earrings are not needed for work, but a purple wig might be vital for your pantomime project. You’ll have to justify all claimed costs if the auditor comes around, so don’t go crazy with your purchases thinking you can write everything off. If you meet with students in a restaurant, bar, or cafe, you can ask the server to give you a receipt with spaces for your students to sign, verifying that the food or drinks were part of the meeting. This isn’t always accepted, however, and the reasons have never been clearly explained to me. I’ve submitted restaurant receipts for years with the same format, same students, same location, same coffees, and had some rejected by the Finanzamt without a word as to why. Train tickets might be disputed if you don’t have a signed attendance sheet for that date, so get something signed by your students, even if it’s a pub night, picnic outing, or seemingly informal event. If you have questions or want to offer some advice of your own, please leave a comment below.